Ramya has been eliminated from Bigg Boss Tamil house. She is the fourth contestant to be out of Kamal Haasan's show, but her eviction has not gone well with the audience. The fans of Bigg Boss Tamil show are not happy with the eviction of NSK Ramya on Sunday, July 22. She deserved to be in the house and she was better than the other members, who were in the danger zone this week. As predicted by a poll on The International Business Times, NSK Ramya was shown the door and she became the fourth contestant to be evicted from Kamal Haasan-hosted show after Mamathi Chari, Ananth Vaidyanathan and Nithya. Ramya was nominated directly for elimination last week for failing to discharge her duties as the leader of the house. Hence, she was unceremoniously sacked before pushing her to the danger zone. Unfortunately, her mistakes during her captaincy proved to be costly for her as it ended her journey in Vijay TV's show. Apart from Ramya, Aishwarya Dutta, Thadi Balaji, Ponnambalam and Janani Iyer were in the danger zone, but the singer failed to secure desired number of votes to be safe this week. It was because Ramya had not given enough reasons for viewers to save her this week. This means that she had neither impressed the viewers nor irked them, which was dangerous on a show like Bigg Boss. However, Ramya wanted to leave the house as she was not enjoying the atmosphere. "I don't like to be around where there are fights, " she told Kamal Haasan. The singer was thankful for the channel for giving this opportunity to be part of Bigg Boss Tamil. "I do not know how far I utilised it," Ramya said before leaving the stage by singing a song. Saran: There is a huge amount of biasness being projected by KH this season. The set audience look like a setup audience. Everyone in the house are real but it is KH, audience and Vijay TV who are FAKE. Kanaga priya: First #Nithya Nd Now #Ramya. Extremely disappointed. Those inside are Totally undeserving people nd most hated by people. It's better we stop voting Nd evn better 2 stop watching the show. @vijaytelevision sry bt you lost it. Y fool us wen u hv decided d winner? On Saturday's episodes, Kamal Haasan usually announces the name of one contestant who would be safe that week. But this week, he did not reveal the name due to the intense debate among the contestants towards the end of the yesterday's episode. Naturally, the suspense around this week's elimination has only intensified. The International Business Times had run a poll to understand the viewers' pulse on the elimination. Looking at the viewers' response, either Aishwarya Dutta or Ramya NSK would be shown the door from Bigg Boss Tamil 2. Aishwarya has received 43.72 percent of votes for her elimination followed by Ramya, who garnered 23.12 percent of votes. Ponnambalam is in the third place by getting 16.08 percent votes, Thadi Balaji has got 10.05 percent votes, while Janani Iyer has got the least number of votes by garnering 7.04 percent votes. The viewers are unhappy with Aishwarya for her proximity with Mahat, Yashika and Shariq. Her issues with Ponnambalam was one of the reasons why there is pubic angry on her. Meanwhile, Ramya has not given enough reasons for viewers to save her this week. This means that she has neither impressed the viewers nor irked them, which might be dangerous on a show like Bigg Boss. 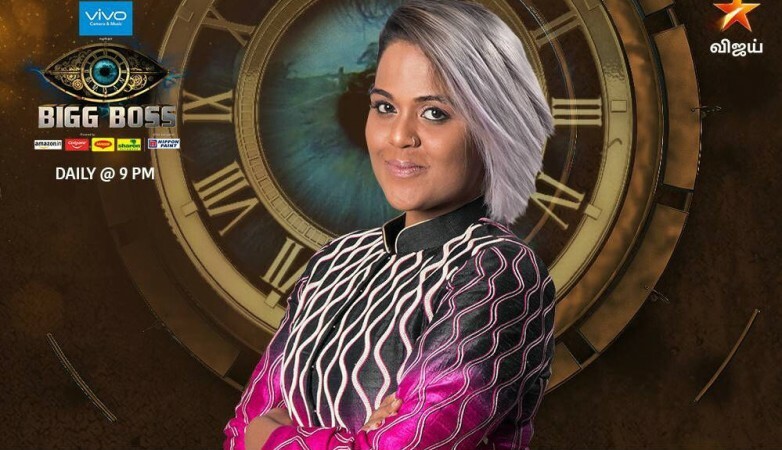 The 16 contestants who stepped into the Bigg Boss house on June 17 are Yashika Aannand, Ponnambalam, Mahat Raghavendra, Daniel Anne Pope, Vaishnavi, Janani Iyer, Ananth Vaidyanathan, Ramya NSK, Sendrayan, Riythvika, Mumtaz, Thadi Balaji, Mamathi Chari, Nithya Balaji, Shariq Hassan and Aishwarya Dutta.